Marvelling at the Costa del Sol from the sea is an impressive experience. Exclusive Sotogrande, with its championship sailing events and nearly 600 yacht moorings, is the ideal place from which to take to the seas with the wind in your hair. The Real Club Maritimo Sotogrande (Royal Sotogrande Yacht Club) was born in the 1980s from a high local demand for sailing and training facilities. Its establishment has helped to make Sotogrande the superbly well-equipped maritime destination it is today. The Sotogrande Yacht Club organises and hosts at least 20 prestigious regattas per year, including local, regional, national and even global catamaran, Hobie Cat and cruise races. Two of its prestigious annual activities are the spectacular RC44 World Championship Tour, dubbed the ‘Formula-1 of sailing’, and the J80 World Championships, which captivate the worldwide sailing community and draw great attention to Sotogrande. 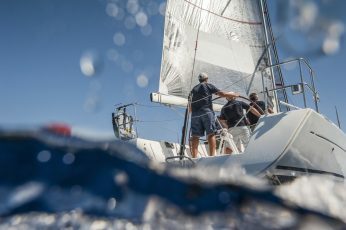 For a more localised event, don’t miss the Interclubs del Estrecho sailing competition organised each November by the Royal Gibraltar Yacht Club and the Algeciras Port Authority. Needless to say, the number of beautiful boats that gather in this prestigious location is truly impressive, as is watching the teams compete across the blue waters of the Campo de Gibraltar. The Costa del Sol is all the more impressive when you see it from the sea. Sotogrande offers a wide variety of charters of all sizes and types, from sailing yachts to power boats and catamarans. You can hire a boat for half a day, a full day or weeks on end, skippered or un-skippered with pick up anywhere from Gibraltar to Marbella – the choice really is yours! The itinerary options are also numerous: a day out in the Straits of Gibraltar, with dolphins swimming alongside you; a trip across to Morocco or Ceuta for some fantastic cuisine and change of culture; a cruise along the coast to glitzy Puerto Banús or Marbella; or simply a peaceful sail to a lovely spot nearby, anchoring off a bay for a swim and a picnic aboard as you soak up the sunshine. Yachting Sotogrande provides a full list of charter options and prices for you to choose from. Holmes Property Sales is Sotogrande’s longest-established property agency; located at the heart of the estate, the company provides a professional, friendly and knowledgeable service to those looking for quality Sotogrande real estate.